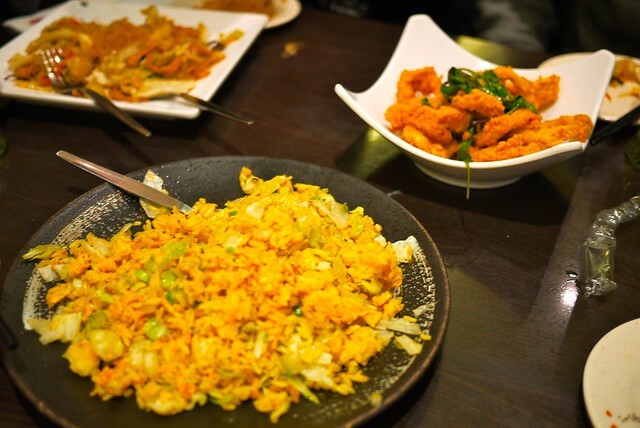 Dinner and bubble tea at Corner 23 Taiwanese restaurant and cafe on Cambie Street with Dennis Pang, May C., and Cheryl Tan on February 10, 2010. After the Giovane Cafe event, we got some dinner at Corner 23. 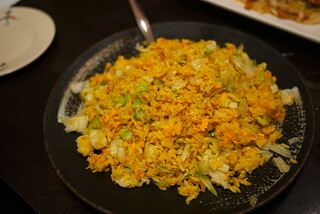 Cheryl stuck with the fried rice which looked good and was pretty big portioned. 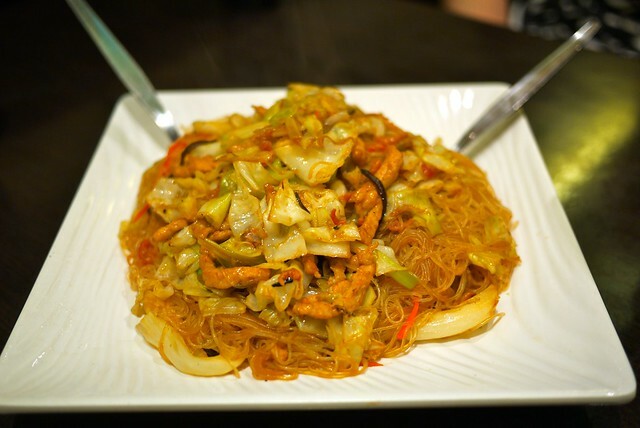 May got he fried vermicelli noodles. They were just okay. 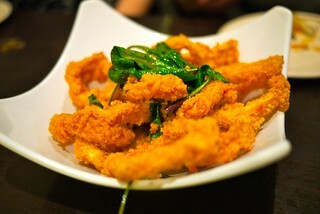 The deep fried squid was crisp and appetizing. 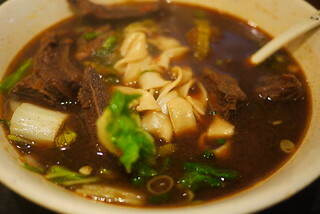 Dennis and I both ordered the spicy beef noodle soup. It wasn't spicy and the beef was chewy and full of tendants. I enjoyed the thick Taiwanese noodles and the soup was otherwise tasty. 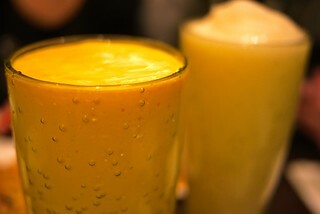 My mango milkshake sans pearls was delightfully tasty. 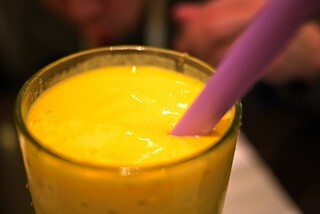 I could taste the mango goodness packed into the shake. It wasn't a spectacular meal, but I found it serviceable and hearty.